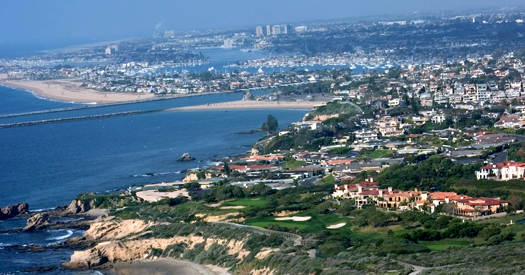 Located in the heart of Southern California, Orange County is the ideal vacation destination. Fly directly into John Wayne Airport (IATA: SNA, ICAO: KSNA) the sole commercial airport within Orange County. Whether you are looking for a romantic escape or a family beach vacation this destination will leave you California Dreamin’. With over 42 miles of coastline, Orange County is home to several famous beaches. Huntington Beach is home to longest recreational pier in the state. Dana Point is home to the largest small boat harbor on the west coast. Other hot spots along the coast include Newport Beach and Laguna Beach. Whether you are looking to work on your tan or want to join in on the surf, the waterfront activities are endless. Ready for a wild ride? Grab the kids and visit the “Happiest Place on Earth,” Disneyland and Disney’s California Adventure theme parks. Rocket into outer space on Disney’s Space Mountain or have your photo taken with Mickey Mouse. It’s fun for the whole family. And for a change of pace try Knott’s Berry Farm and Knott’s Soak City, with over 165 thrilling rides and high speed waterslides. Whatever your thrill, you are sure to meet your match at one of these adventure theme parks. Looking for the ultimate outdoor shopping and dining experience? The Anaheim Garden walk is the OC’s hot spot for food, fashion, and fun. Ready for an adventure outside the theme park? Happiness is more than just a state of mind in Downtown Disney. Live music, shops, and restaurants line the streets of this high energy district. Want home cooking? At Mrs. Knott’s Chicken Dinner Restaurant, try the famous fried chicken. So what are you waiting for? Fly to Orange County today on one of Desert Jet’s very own private jets. To schedule your next charter flight contact us at (949) 529-2800 or charter@desertjet.com, where a charter specialist will be happy to arrange all your travel accommodations. We have aircraft based right at John Wayne Airport and can fly you where you want to go on your schedule.